Bitdefender is one of the largest internet security service companies of the world which was established in the year 2001. The head quarter of the company is in Romania. It is one of the best security service companies of the world. Because of its quality performance it has been able to win number of awards. Among those, Best antivirus award 2014, The best performance 2014 award by AV- TEST, Editor’s choice Award from CNET in 2013 are some of the examples. 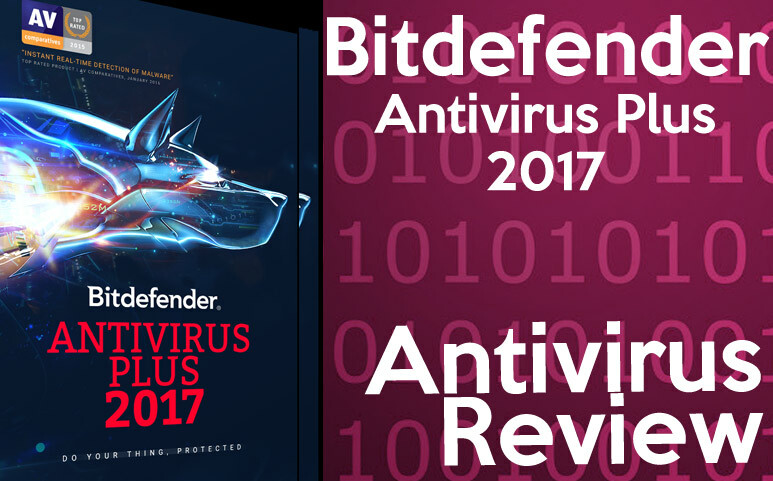 Among different products of Bitdefender, Antivirus Plus 2017 is also one. And like many other antivirus, available in the market, it also detects, repairs and protects the infected software of the computer. Apart from these functions, it has many features including, a simple password manager, a secure browser for financial transaction, a secure file shredder, new active ransom ware protection. Bitdefender provides protection against spyware and viruses. It even provides protection against the most dangerous viruses without affecting the speed of the system. Bitdefender antivirus plus can cover 1-10 pc. It also includes the Wi-Fi scanner. Apart from the features of Antivirus plus 2016, it has many other features too. Though it is not so easy and quick to install the Bitdefender Antivirus Plus 2017, but once installed, it is very easy to use. It scans the whole system even when it is installing in the system. If the system has already another antivirus installed in it, then bitdefender alert the user about the problem. Apart from virus, it also provides protections from spyware, worms and key loggers. It also protects the system from phishing scams and threats from social networking sites. So it gives protection to the system from all the medium through which threats may harm the system like e-mail, messaging, search engines etc. it scans e-mails on both the protocols called POP3 AND SMTP and provides the system anti spam protection. It protects the system from any dangerous sites that may appear in SERP. The most recent threat of internet security is the Ransom ware. And Bitdefender has been able to bring out the solution to this problem too. What makes it class apart from its counterparts ? Bitdefender Antivirus gives a quick scan to the computer. In the test computer, it took only 45 seconds to complete a quick scan. During the scanning process, it removes all the viruses it found. And if reboot is required to remove any virus, then it alerts the system about its requirement. In scanning section, one may choose from the available options of scan like scanning of files, application, e-mail, or HTTP. Along with these features, it has also game mode and rescue mode in it. If any user likes to play any game in the computer then he can put the antivirus to play in game mode. Likewise, the rescue mode helps to check the system if one is unable to boot the computer. Apart from these one of the most important features of the Antivirus Plus 2017 is its autopilot mode. So to conclude, it can be said that like other versions of Bitdefender Antivirus Plus, the 2017 version is also very much impressive. It is for those who need a less complex antivirus protection in their systems.